Do you want games that are both amusing and challenging? Did you ever have the urge to conquer the world? Are you a true RISK mastermind? 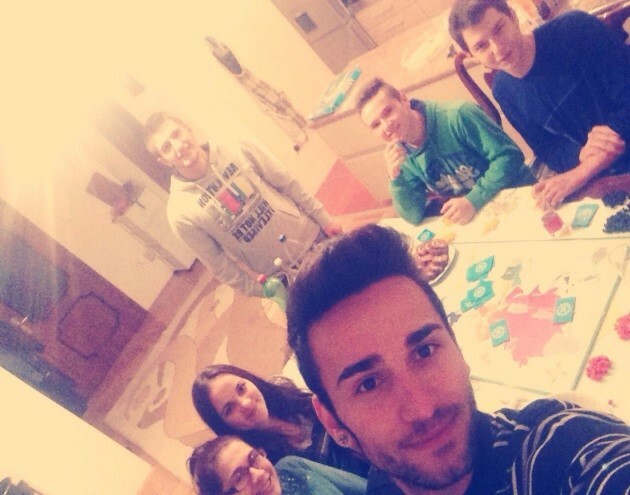 If you checked ‘’yes’’ to all questions above, and love board games, then you are in the right place! Board games, unlike the overflowing number of online games, are actually fun and most of all a ‘’real’’ way to make new friends, or argue with the one you have, depending on how eager for victory they are! 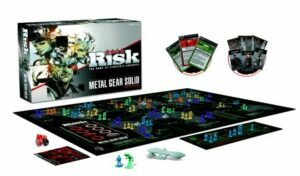 Together with Monopoly, Risk Conquer the World is one of the first and most successful board games Hasbro has introduced to this day. Mainly based for friends and family gatherings, Risk manages to get the competitive side from all the players. The main idea behind Risk Conquer the World is to eliminate all the other opposing armies and achieve victory once you successfully complete your mission. However when only two players face one another one must conquer the whole world. There is no greater feeling than winning over your friends or family. Just imagine the satisfaction and pride when after few hours of play, countless failures of strategies and bad luck you are the one who takes the victory. 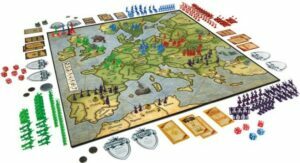 How to play Risk? You may ask, well let’s get right on it! Hopefully the internet and being online hasn’t ruined your whole life and you still have some friends because you can’t play Risk on your own! The main goal of playing the game is to complete your mission as fast as possible before anyone else snatches the victory from your hands. 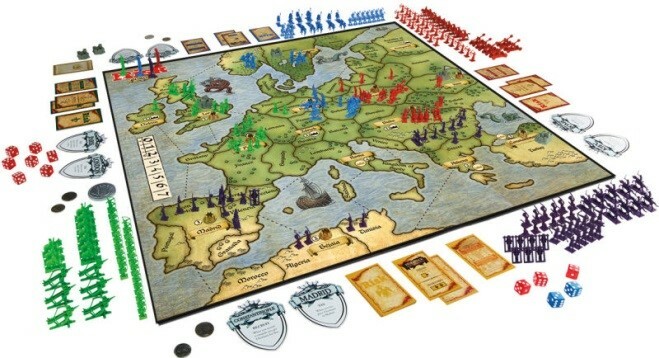 Two to six players can play a game of Risk. The board illustrates the world, divided to the six continents each consisting different number of parts, mainly the bigger countries. Before the game starts everyone chooses one army and after the territories are divided equally to everyone you place your soldiers on the field. By this time every player must draw a mission card and according to one’s mission the rest of the soldiers are spread on the map. Then the game can begin. Each player takes a turn and attacks opposing army in order to gain control over a certain territory. Once you win one battle you can spread your soldiers and be one step closer to victory. But don’t get your hopes up. This game is definitely not easy, nor is your mission easy to acquire. It may take two to three hours before anyone comes close to winning. Your plans can be turned around against you in a matter of a second. You can win ones territory but even easier you can lose numerous of yours. 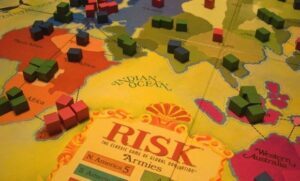 It takes a lot of games and a solid strategy to win a game of Risk. But in due time, after extensive practice, you can get the hang of the game and end up victorious. To have a better chance at RISK Conquer the World, you must first understand what your mission says and make a concrete plan to what possibilities you have and if there is any safe way of completing your mission faster. Distracting your enemies, by not going straight to your mission can help you win the game. While they think you need to win two or three continents your mission can be the destruction of one of the armies. Same goes with reinforcing. By not putting all soldiers on one territory you can mask what your true plans are. But don’t forget slowly but surely growing one territory in few rounds is easily missed by most of the players so in few rounds you can start attacking where you are supposed to and take everyone by a surprise. Adding to this, looking for skirmishes, some weaker territories, can lead to easy victory over opponents. Finally, never forget what your mission is. Don’t try to fool your enemies too much and get distracted yourself. Maintaining a balance is a virtue. Once you clear your path, only then can you win a game in Risk. You are your worst nemeses in Risk so make your moves wisely and with precision. Although, the game is a great way to have fun and play Risk with friends, you’ll see that not everyone will like it. The game itself is complex and takes a lot of time to even come close to finish. Sometimes you’ll find yourself playing Risk with friends for five or six hours. That might me too much for some of us. So to make it more interesting make some double strategies with another player, secretly. This will both shorten the game and add an element of surprise. Otherwise, the game is challenging like no other. If you enjoy playing for hours fighting to complete your mission, this is the game for you. Gaining more experience will make this game more appealing to you. So don’t give up yet, there is still hope for you. Risk is a fun way to enjoy and spend quality of time with your friends and family. The game is a mixture of amusement and brain exercise, in a way. The more you play the more addictive you’ll become to it. Once you start to understand it you’ll want to learn more and with it play more. If no one wants to play with you, you can always go to the online versions of the game, even though they don’t work me. There is nothing like sitting home with few other people playing and constantly arguing about why you only attack them. 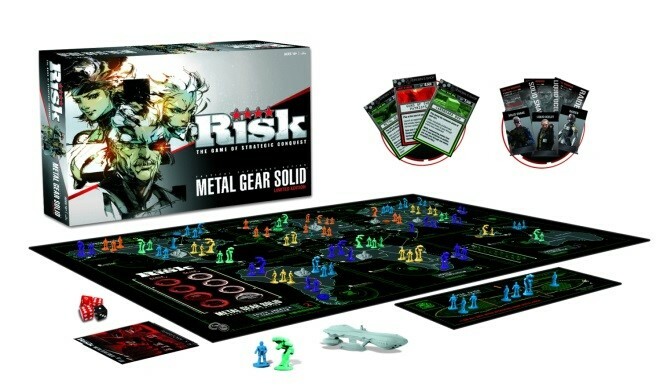 So, hopefully, you’ll like this game and maybe, just maybe one day will face to face play a game of Risk.